My girls invited their friends over for a Valentine’s day get together. 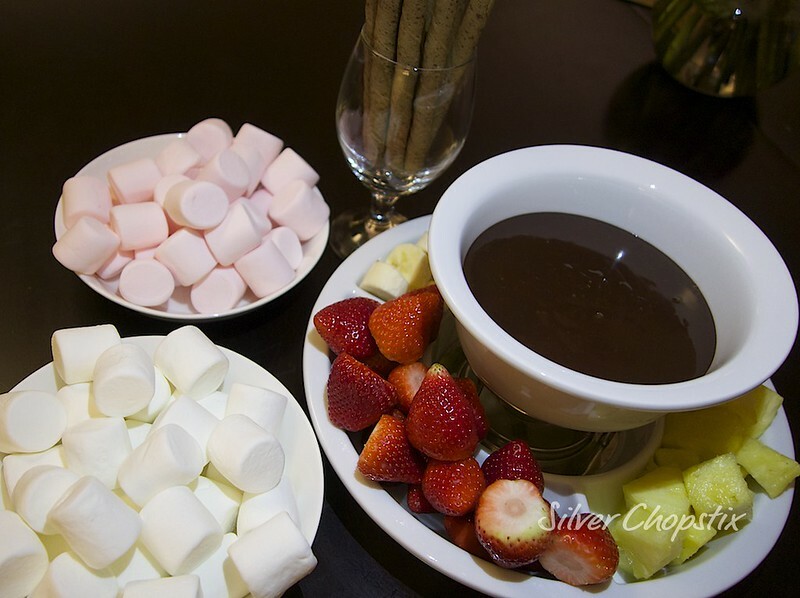 Aside from the savory dishes I served, I made them Chocolate Fondue for dessert as a special treat. For the dippers, I chose a combination of fruits and sweet snacks. My choices were strawberries, pineapple, bananas, strawberry and regular flavor marshmallow and wafer sticks. 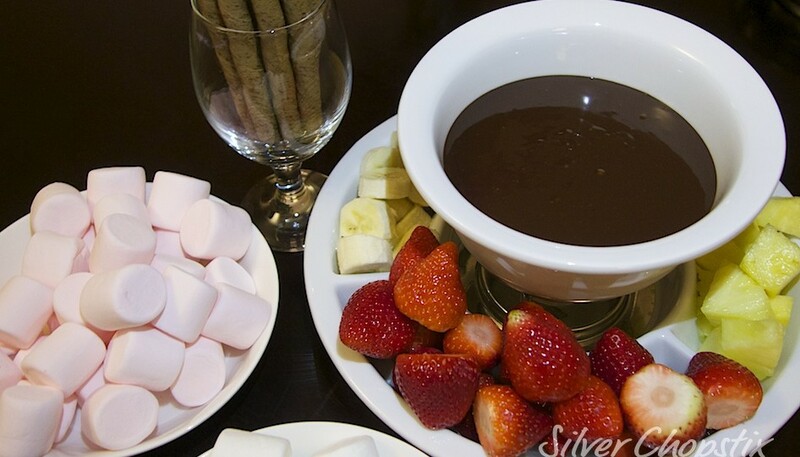 There are so many things you can try and use to make an awesome chocolate fondue. Some ideas would be kiwi, apples, melon and even dried fruits, cookies, cakes, cheesecakes, pretzels, cinnamon sticks, mini muffins, nuts, popcorn, potato chips etc. For the chocolate fondue, place 3/4 cup heavy cream, 2 Tbsp. butter, 1 tsp. vanilla extract in a thick bottomed saucepan and heat until it simmers. 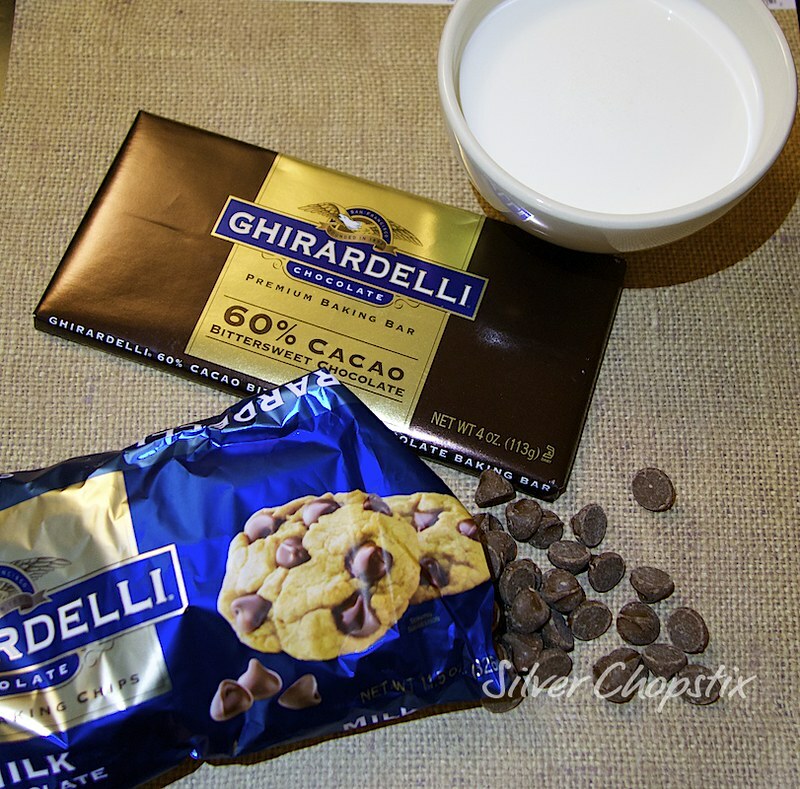 Remove from heat and add 1 bar of ghirardelli 60% bittersweet chocolate chopped into pieces and 1 bag of ghirardelli milk chocolate chips. Stir until the chocolate is completely melted. 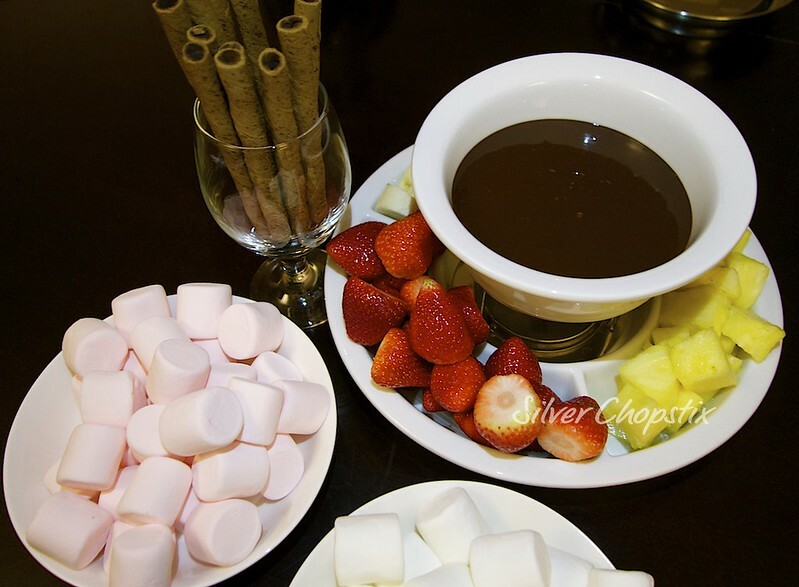 Arrange your fruits and sweets in platters and pour your chocolate sauce in your fondue pot.